Are heavier trucks safe for the road? Are heavier trucks on the road safe? A new bill proposed by Rep. Reid Ribble may allow tractor trailers that weigh 91,000 pounds and have six axles on the federal interstate highway system. Currently, a truck is allowed to weigh 80,000 pounds with 5 axles. This is part of Ribble’s Safe Trucking Act, introduced in September. Ribble took his proposal to the House Transportation and Infrastructure Committee. This bill should be confused with the legislation proposing truck lengths increase. Ribble’s bill does not suggest increasing the length on tractor trailers. He claims that heavier trucks are safer because they are not longer. On a news media teleconference, he explained how this will help. The extra axle will distribute the weight of the load move evenly, thereby improving braking power. He also claims that most highways and bridges are able to support the increased weight without doing major work on them. Ultimately, it would mean less trucks moving more freight, increasing productivity and safety on the already crowded roads. He says that fuel costs and CO2 emissions would be reduced as a result. A personal injury attorney Wheeling can help understand this bill. Many industries are backing the Ribble’s bill, agreeing that productivity will increase. Donna Harman, the President and CEO of American Forest & Paper Association pointed out that Canada and Mexico both have higher truck weight limits and both benefit from that. She said that truck trips for forest products can be reduced by about 1.4 million every year. Connie Tipton, the President and CEO of the International Foods Association says its 150,00 delivery locations could be served with 500 less trucks. The senior director of transportation at Anheuser-Busch, James Sembrot, said this policy is common sense and should be supported. He says that Anheuser-Busch ships millions of trucks every year and a lot of them are 60% empty because of the weight restrictions. With this bill, they could remove 100,000 trucks a year from the highways. John Runyan, executive director of The Coalition of Transportation Productivity, says the weight limit was last changed in 1982. He also said that 70% of freight is shipped by truck, so this is a topic that must be considered if the US is to remain competitive. Johnston claims that the impact of heavier trucks would cause a need for more funding on the roads. He also contends that heavier trucks would require greater skill and is alarmed to think that Congress would consider increasing truck weight limits before training drivers in handling the added weight. Keith Tuttle, Chairman of The Truckload Carriers Association claims that a minority of industries would benefit from the weight increase, even though there would be pressure to all carriers to invest in the equipment needed to update their trucks. He said that aside form the extra axle, the truck would need reinforcements to the trailer, kingpin upgrades, tires that are rated higher and engine improvements. He claims that all of these upgrades alone will be 2,500 pounds, negatively impacting fuel economy, even when the trailer is empty. The Truck Safety Coalition claims that Ribble saw the results of the Comprehensive Truck Size and Weight Limits Study and ignored them. They also pointed out a DOT claim that truck size and weight should not be increased because there isn’t enough data. 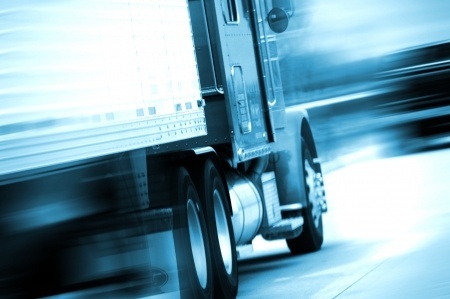 Of the data available, the increased trucks experienced a 47% increase in crashes. Contact a personal injury attorney Wheeling for more safety information. In a letter to the House of Representatives, the Transportation Communications Union President Bob Scardelletti argued that the passing of this bill would be dangerous, dramatically impacting road safety and costs. He shared a study that showed “disturbingly” increased crash rates for trucks that are longer or heavier. He also stated that heavier trucks have stability problems because the additional weight raises the center of gravity and requires longer stopping distances. He states that AAA and 75% of Americans oppose heavier trucks on the roads. If there has been an accident with a tractor trailer, contact a personal injury attorney Wheeling to help.